LEGGETT, Calif. -- Recovered vehicle debris and personal items confirm that an SUV seen plunging into a storm-swollen Northern California river belonged to a family that disappeared last week, authorities said Thursday. 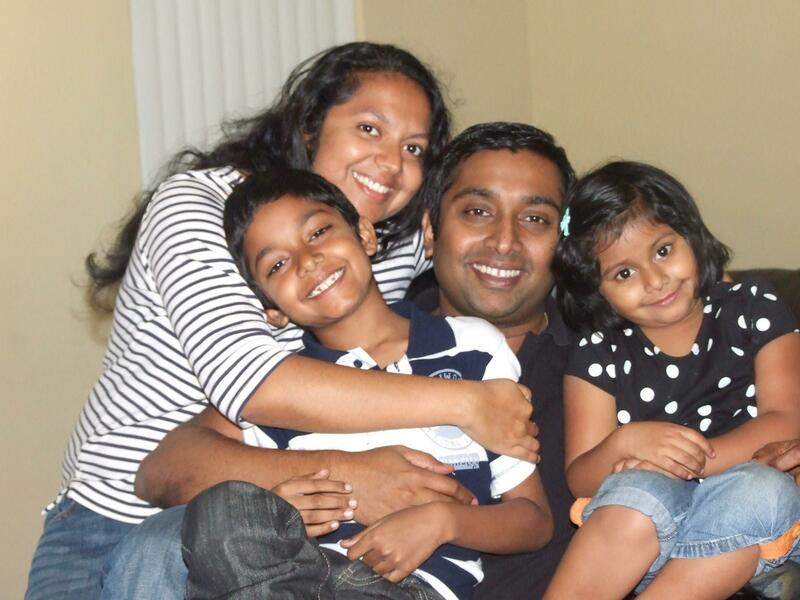 The vehicle itself and the four members of the Thottapilly family have not been recovered from the Eel River, which remains too dangerous for divers to enter, but searchers along the banks located numerous items consistent with a Honda vehicle and interior, and items consistent with a family traveling on vacation, the Mendocino County Sheriff's Office said in a statement. "Several items have been positively identified, by family members, as belonging to the Thottapilly family," it said. "These items were of a personal nature and will not be described further at this time, but it does confirm the fact the vehicle that was seen going into the river was that of the Thottapilly family." The family from Santa Clarita in Los Angeles County was last heard from while driving along California's redwood coast, about 180 miles north of San Francisco. The family was traveling home from Portland, Oregon, and was reported missing April 8 by a relative in San Jose who had expected them to arrive for a visit two days earlier. The family was traveling as a strong storm dumped rain on Northern California. Before the family was known to be missing, authorities in Mendocino County received reports that a vehicle southbound on U.S. 101 went off the highway and tumbled into the Eel River. The vehicle had submerged by the time rescuers arrived. "The Mendocino County Sheriff's Office has been in contact with numerous other county dive teams and technical rescue responders that can be called upon, when the vehicle is located, to assist with recovery of the vehicle," the office said. "Once recovered the Highway Patrol will conduct a complete mechanical inspection of the vehicle as part of the accident investigation." "It is very tough. The responsibility is felt," said California Highway Patrol Officer William Wunderlich. "We are doing everything within our power to locate this vehicle and to bring some closure to whoever the occupants may be." Sarah and Jennifer Hart and their six adopted children were believed to be in the family's SUV at the time. Five bodies were found March 26 near Mendocino, a few days after Washington state authorities began investigating the Harts for possible child neglect, but three of their children were not immediately recovered from the scene along the shoreline. A body was pulled out of the surf last weekend but was not immediately identified.